Cape Town - Baroka FC chairperson Khurishi Mphahlele has confirmed that former Orlando Pirates star central midfielder Thandani Ntshumayelo has penned a deal until the end of the season. Ntshumayelo has been working in order to try and return to professional football after serving a ban for cocaine usage which he received in 2016. 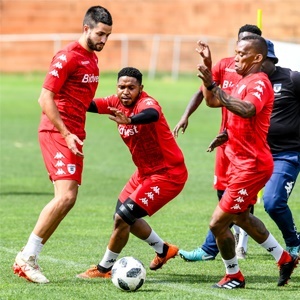 However, after a part of his sentence was commuted, the player had been training hard with Bidvest Wits under the eye of coach Gavin Hunt as he looked to make a return to playing. Nonetheless, he did not receive an offer from the Clever Boys but now has the chance to continue his career with Bakgaga. Mphahlele confirmed to Kickoff that the player had signed a deal until the end of the season with an option for another two years attached. He told the publication: "It's good news. "Ja he's been signed, he has signed until the end of the season with a two-year option."